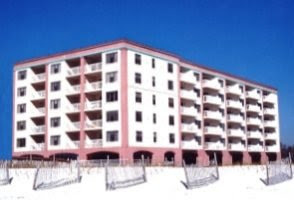 Perdido Key Florida beachfront condo for sale at Perdido Towers. This well maintained resort property has everything you need for enjoying coastal living. Community amenities include a gulf-front pool, 3 tennis courts, social room with full kitchen and a fitness center, community boat dock (1st come, 1st serve), boat & kayak storage, mail room, coded entry, and more…overlooking the white-sand beaches of the Gulf of Mexico! Situated on over 7.5 acres, this low density development is an ideal real estate investment and/or second home. The gulf-front home has 2 master suites – 1 on the 1st floor & 1 on 2nd floor. The could be the one…come see this condominium. Perdido Towers beachfront condos in Perdido Key are situated near the near the Florida/Alabama state line – the community features gulf-front residences overlooking the sugar-white beach and easy access to the Gulf of Mexico via with boat storage & boat-launch to the north on Ole River.